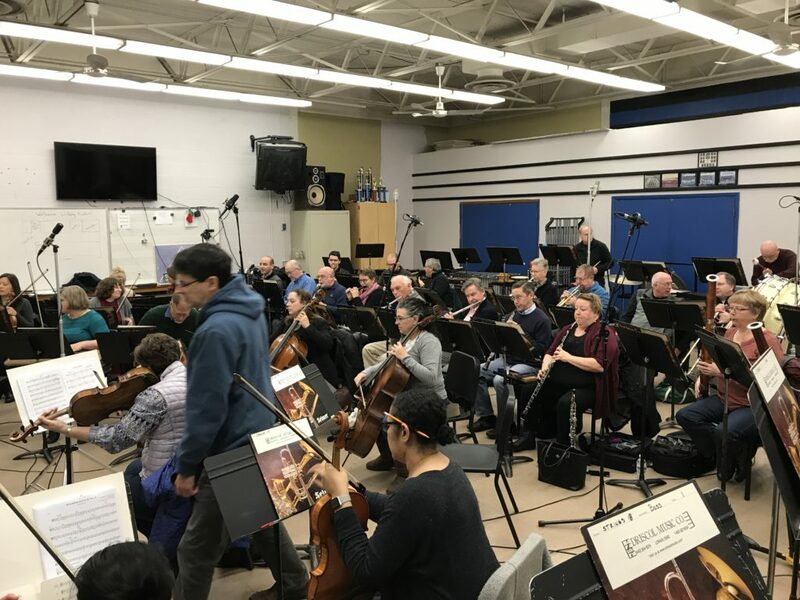 We were back with our longtime friends from LudwigMasters Music Publishing in November working on their 2018 new music compilation. 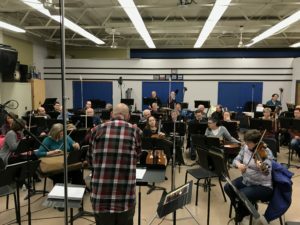 We set up a full studio in the music wing at Midview High School to record band, orchestra and chamber music. This includes a full mic complement for the ensembles set up in the band room. 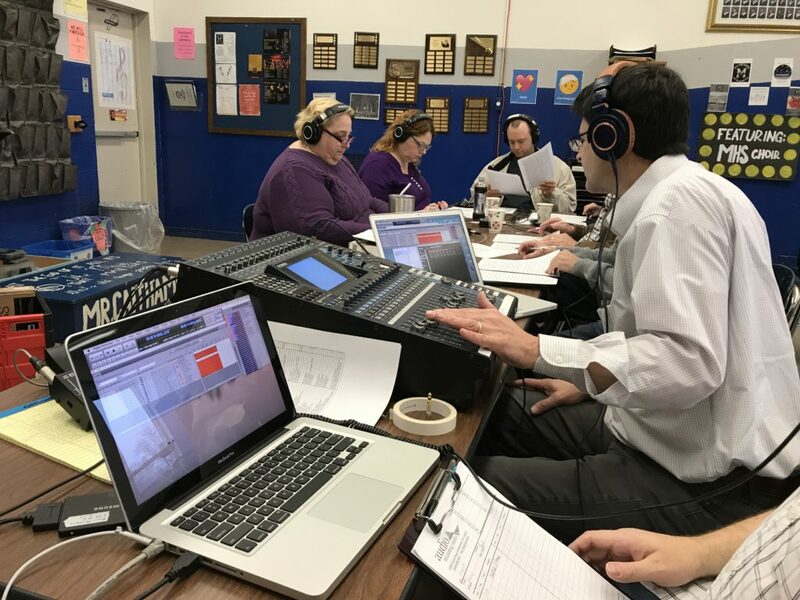 A “control room” set up in the choir room with headphone monitoring for the 5+ composers/editors who act as producers for the session. 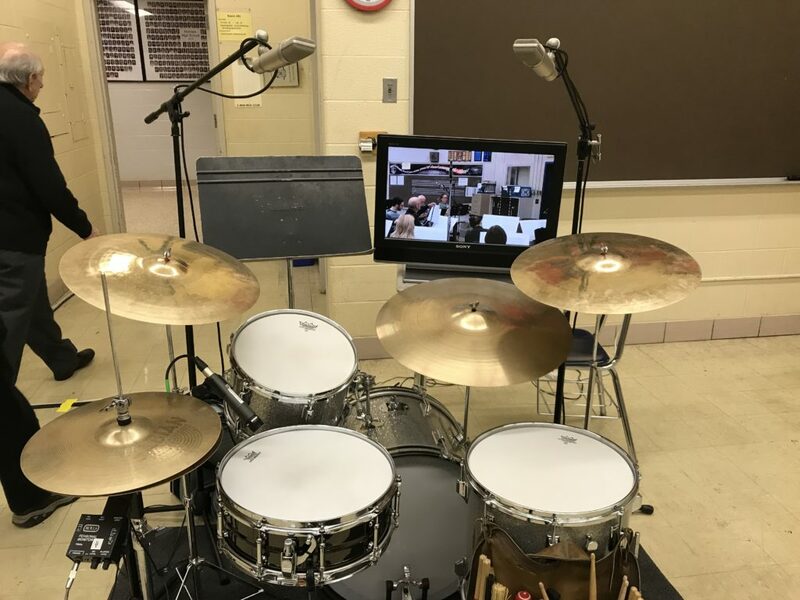 We also set up a separate room for drum set recording featuring a video link for the player to see conductor Loras Schissel.